A scholar, educator, real estate and business developer and politician, Arthur D.O.Hodgson brings a wealth of experience to the practice of law in Bermuda. A former member of the Bermuda Parliament and Cabinet Minister, a Rhodes Scholar and a commercial lawyer with nearly 25 years of experience practicing on island, he brings depth and practicality to the firm in dealing with property law, private client matters, regulatory and commercial matters. Mr. Hodgson’s academic background has taken him to the U.S.A., U.K. and the Caribbean. An outstanding student, he became a Bermuda Scholar upon graduating from the Berkeley Institute. He then graduated from Michigan State University, where he received a Bachelor’s Degree in Economics. Mr. Hodgson was selected as a ‘Rhodes Scholar’ from Bermuda and graduated from Oxford University in England, where he studied Philosophy, Politics and Economics. He also holds a degree in Education from the University of Guyana. Mr. Hodgson studied law at the University of Buckingham in the U.K., where he was awarded a Bachelor of Laws Degree. He attended Middle Temple in London and was admitted to the Bar of England and Wales and to the Bermuda Bar in 1987. 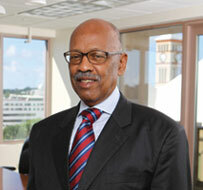 He commenced his legal career in Bermuda with the law firm of Richards, Francis and Francis, where he became a partner. He served on the Bermuda Bench, primarily as a Magistrate in the Family Court. Mr. Hodgson subsequently established a boutique firm, Richmond Law Offices, which offers legal consulting and now practices with Apex Law Group Ltd., the result of the merger of Bermuda’s Richmond Law Offices and Lynda Milligan-Whyte & Associates. Mr. Hodgson served as the Minister of the Environment and more recently as Chairman of a Bermuda Government’s Round Table on ‘Sustainable Development.’ He is presently serving as Chairman of the Hamilton Parish Council and Chairman of the Bermuda Missions Trust. A more detailed resume on Mr. Hodgson is available upon request. Learn more about our firm or meet our qualified team of professionals. View our corporate administrative services or contact our office directly.